Now I don’t know about you but you will always find us around standing around the table with all of the holiday appetizers. 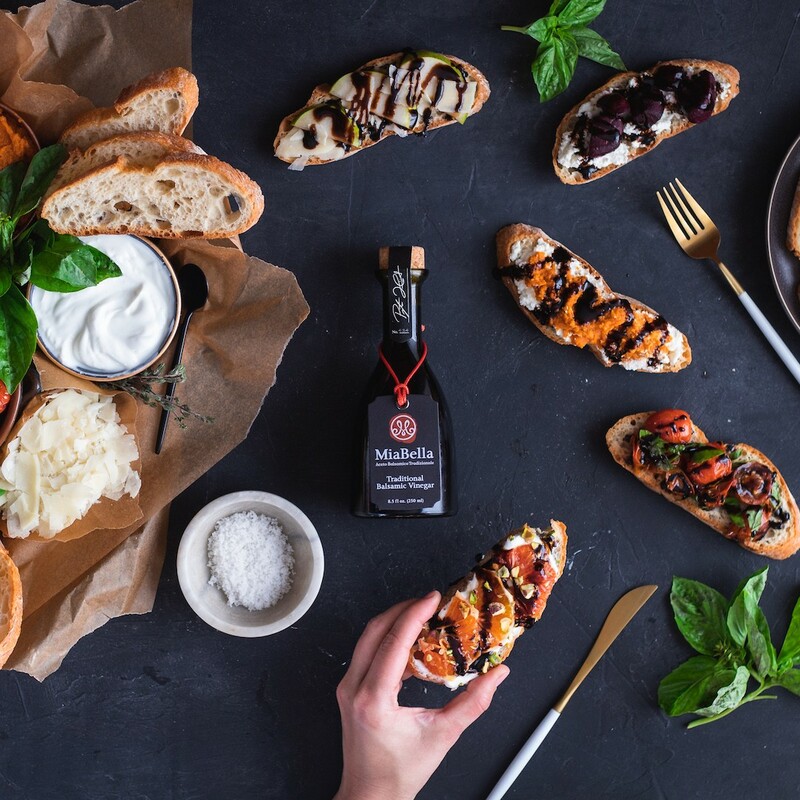 Just between us appetizers tend to be one of our favorite parts plus it is where our Aged Balsamic really shines as the main event. In homage to our love for appetizers we took a classic favorite, bruschetta, and decided to turn the traditional into a “this is so delicious what’s in it” conversation piece. Plus, we wanted to add in some real color to this dish to make it really stand out. Think of it as part of your holiday decor. Bruschetta bars have become very popular in restaurants where you have a few choices and are able to mix and match with what looks good to you. So in that spirit, we put together five different types of bruschetta to make a bruschetta bar of our own. Click on any of the names below to check out the recipe. 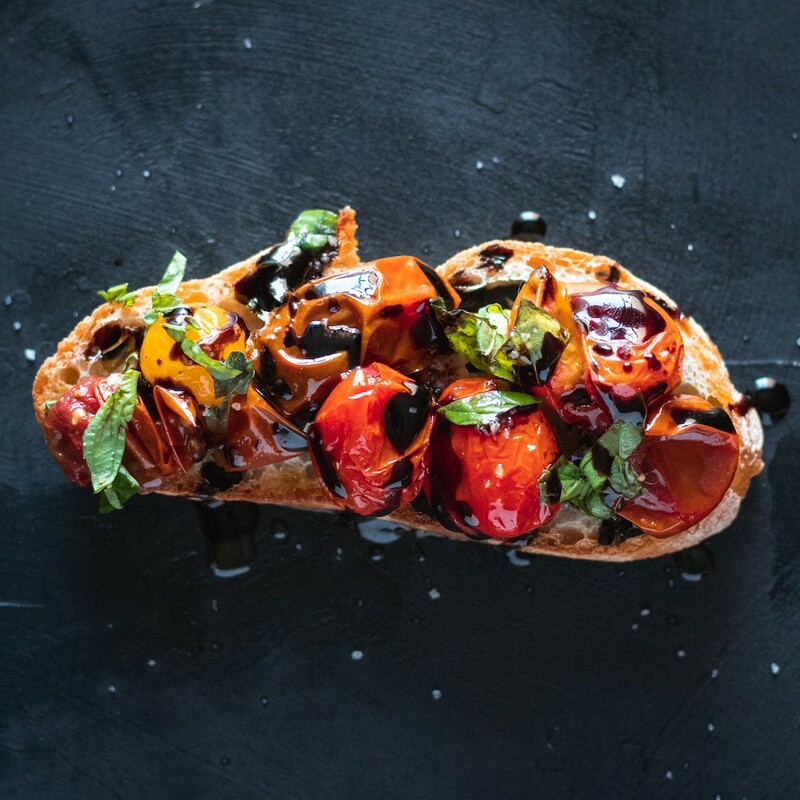 The Traditional - This is our take on the beloved bruschetta pairing of tomatoes, basil, olive oil, and balsamic vinegar. We added to this already amazing flavor by roasting our tomatoes. Pumpkin & Ricotta - Our holiday inspired pairing gives the people what they want - PUMPKIN! 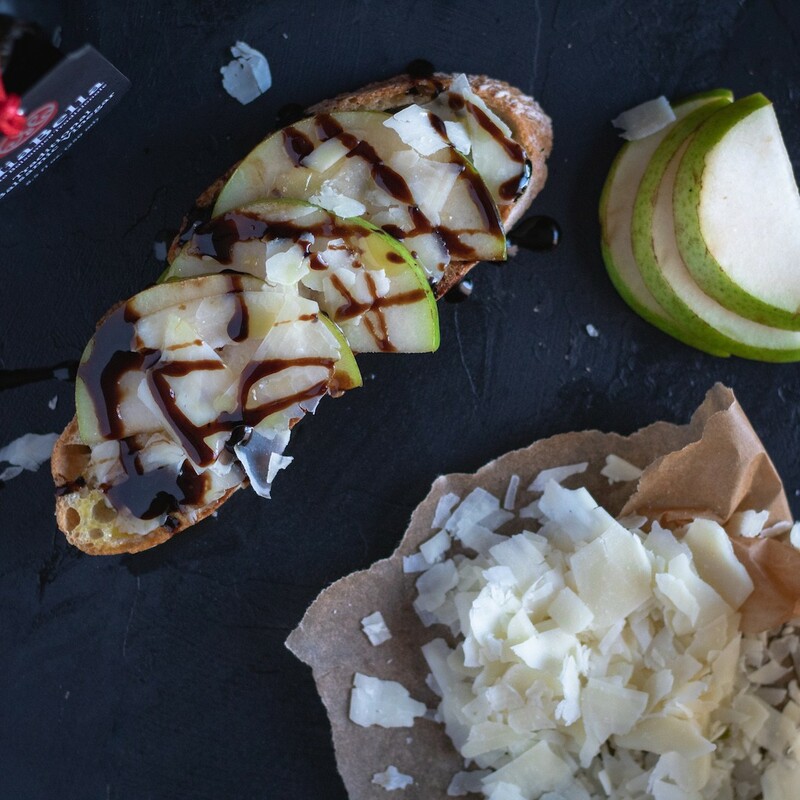 Pear & Parmesan - Is there really anything better than sweet and salty? 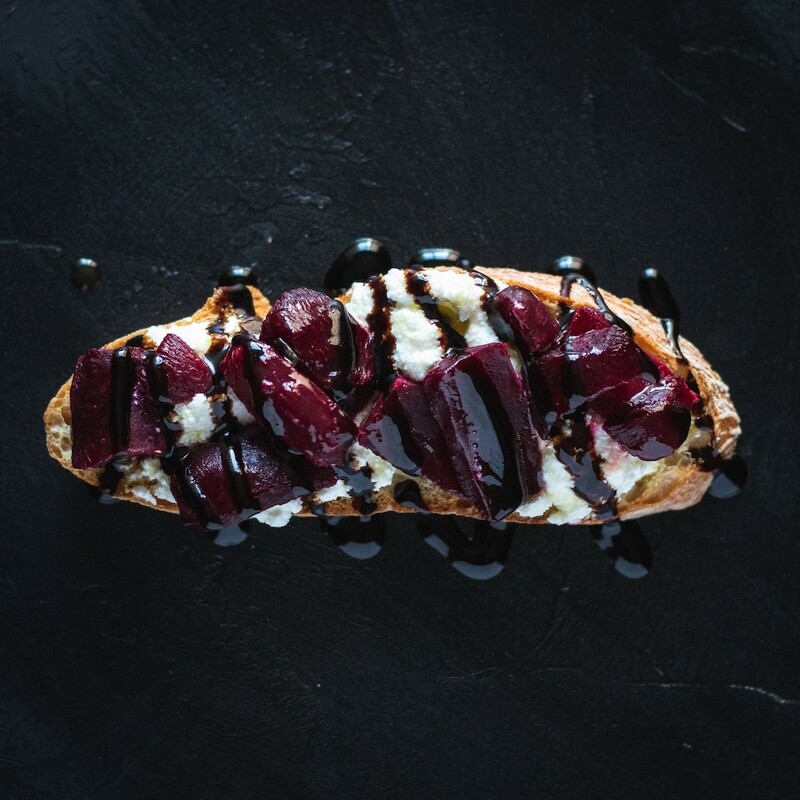 Beet & Ricotta - We’re continuing our beet-craze with this fresh take on bruschetta. The earthiness of the beets combined with the creaminess of ricotta makes this delectable. 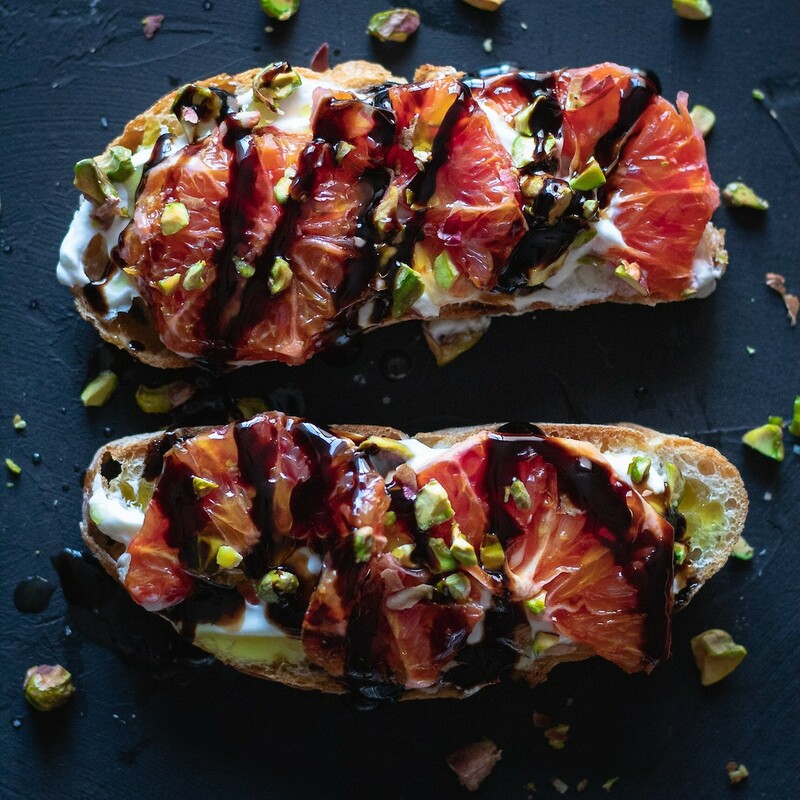 Blood Orange & Greek Yogurt - Helps to stay on the lighter side of appetizers without sacrificing any of the taste. 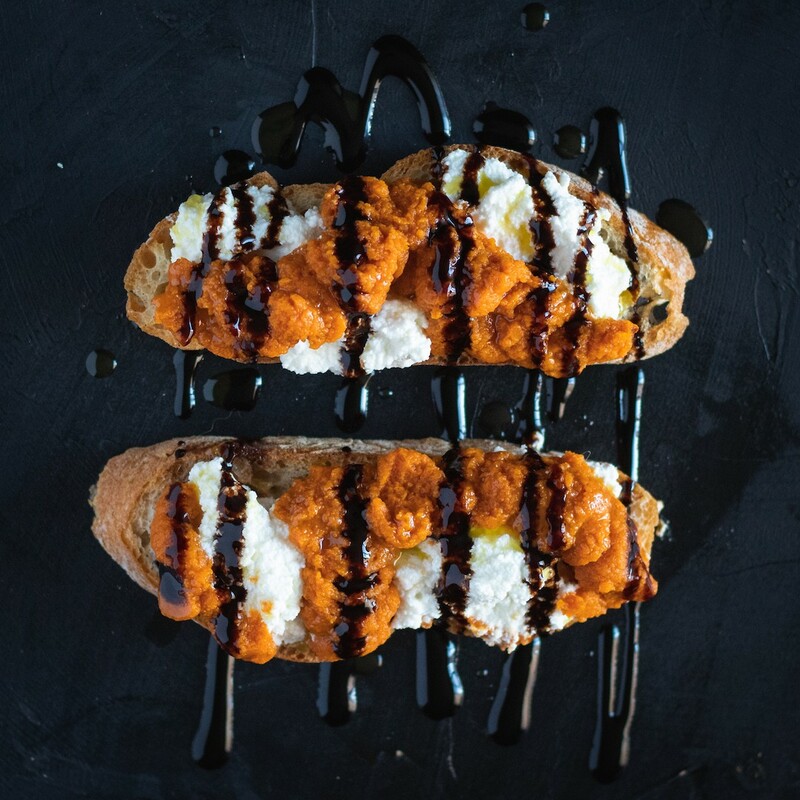 If you don’t feel like taking on all five of the recipes taking on 2 or 3 is also plenty to give you a delightful bruschetta bar with options. Now every bruschetta starts with toasted bread. Starting with 1 baguette would yield about 20 slices which is a good starting point for a party of 4-6. Cut your baguette into slices about 1/4" thick. Arrange your baguette slices in a single layer on a rimmed baking sheet. Rub each slice with garlic (optional) and brush slices evenly with olive oil. Bake until lightly toasted about 15 minutes. Click images below for each individual toppings recipe.